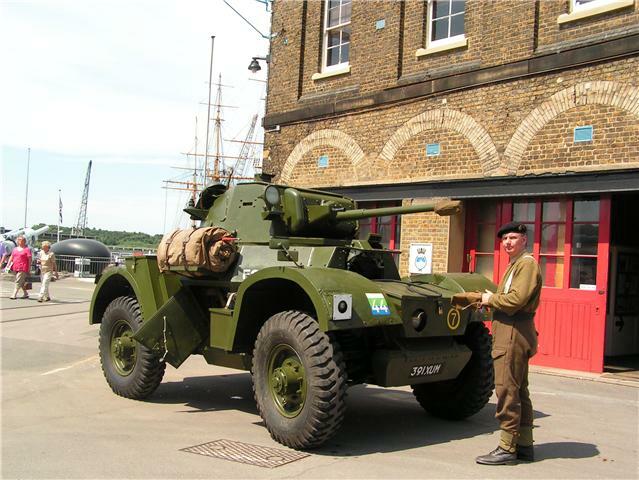 The vehicle is 95% original with replica parts being limited to some of the interior fittings and also external smoke dischargers. There are a very few minor interior fittings such as water bottle holders required to finish, but patterns are available to assist replication. 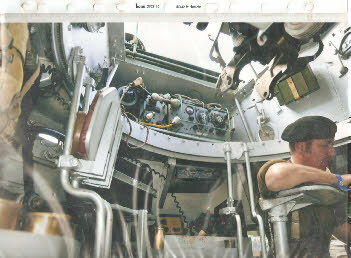 It is presented in an not over restored WW2 service condition and everything is working except for the deactivated armaments. Additionally the following ancillaries, parts and equipment are available subject to subject to separate negotiation. There are potently enough spare parts to ensure that the vehicles stays running well into the future or to greatly assist in the restoration of another vehicle. Its being sold due to ill health of the owner. 2. One number Brake ring adjusting tool. 11. One number 1 quart oil can. 13. One number large funnel. 2. * One number 19 set A and B aerial mounts. 3. One number driver’s communication button box. 4. One number commander’s communication / control box. 5. A set of three number WW2 headsets original. 6. 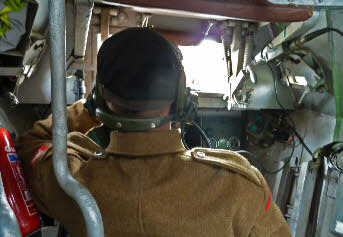 One number WW2 headsets converted to clansman. 7. * One number clansman intercom system working and complete. 10. Three number spare sight glasses for periscope and episcope in original fitting box. 14. Two number replica AA 100 round Bren drum mags and holder. 15. One number central Grenade box and 6 replica grenades to fill. 16. One number main gun/BESA remote trigger and mount. 17. *Main armament. With traverse elevation equipment and telescope. 1. One number NOS gearbox. 3. Two number Front bevel box complete. 5. * One number spare wheel carrier with serviceable spare wheel. 14. At least one number spare of every possible drive axle. 15. Set of used but serviceable tractor joints of early & latter ‘oil thrower’ type. 2. One number NOS fuel pump. 11. One set of 12 number NOS inlet and exhaust a valves. 4. One number original operators manual small. 6. 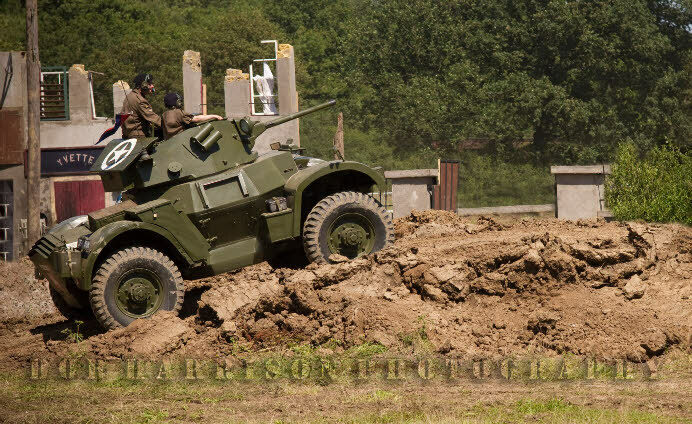 One set of WW2 dated WD training and other films pertinent to the vehicle. 1. One number WW2 style side hung vehicle tent with poles. 2. Three number 1950’s dated pixie suits various sizes. 3. One number officers bed roll. 4. One number large 1943 dated ammo box for side mounting. 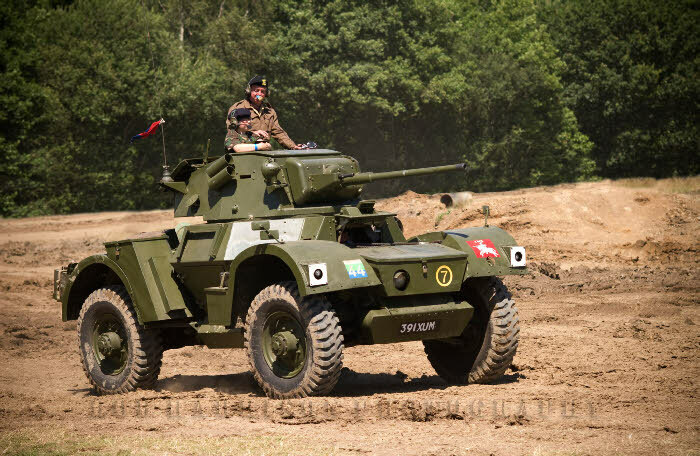 Daimler armoured car F20333 AC415. 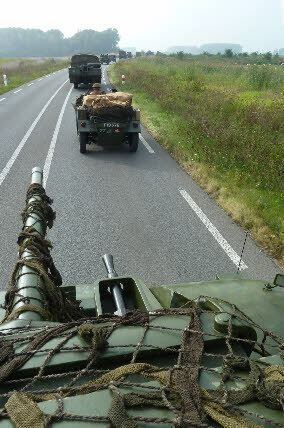 (48ZU73) Manufactured 1942. 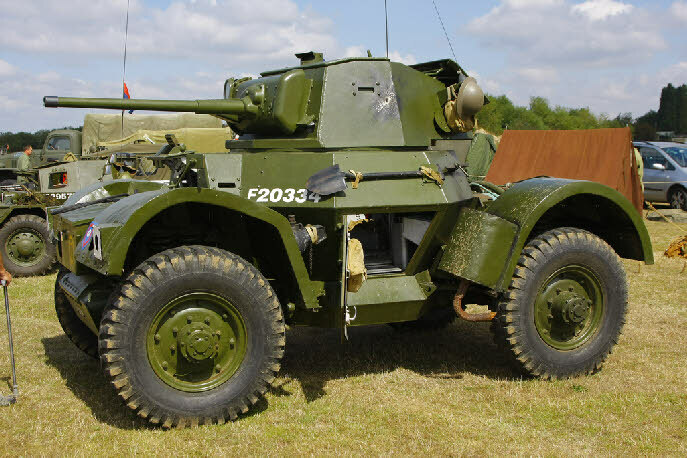 A fully working and road registered Daimler armoured car well known on the south east of England show circuit. 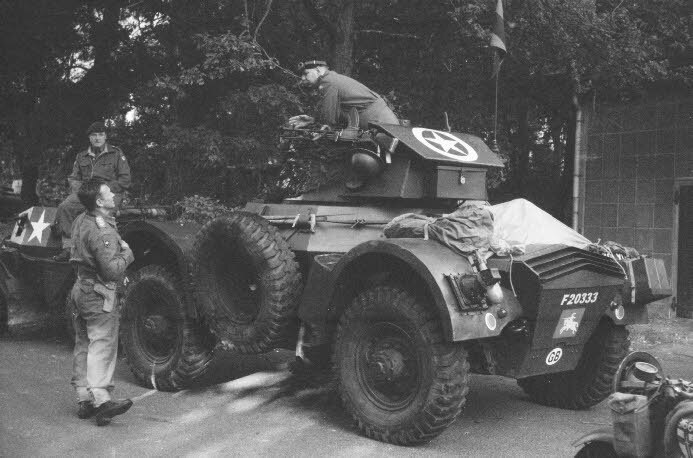 Winner of ‘runner up best wheeled armour ‘ at the war and peace show on several occasions. 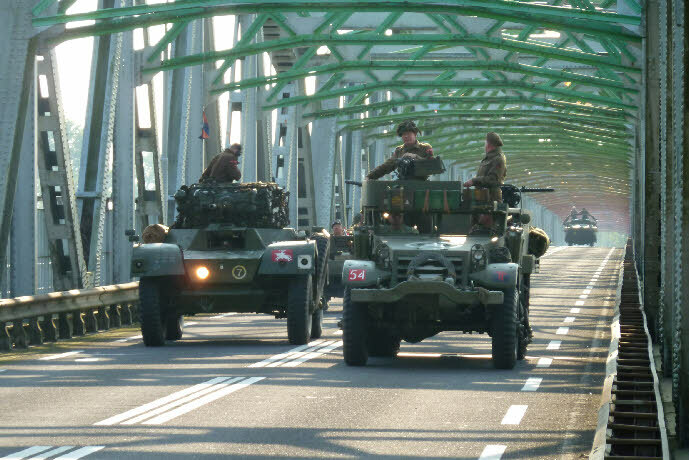 The vehicle was restored 2009 and successfully completed the 400 mile duration, Liberation task force tour of the Netherlands in 2015.